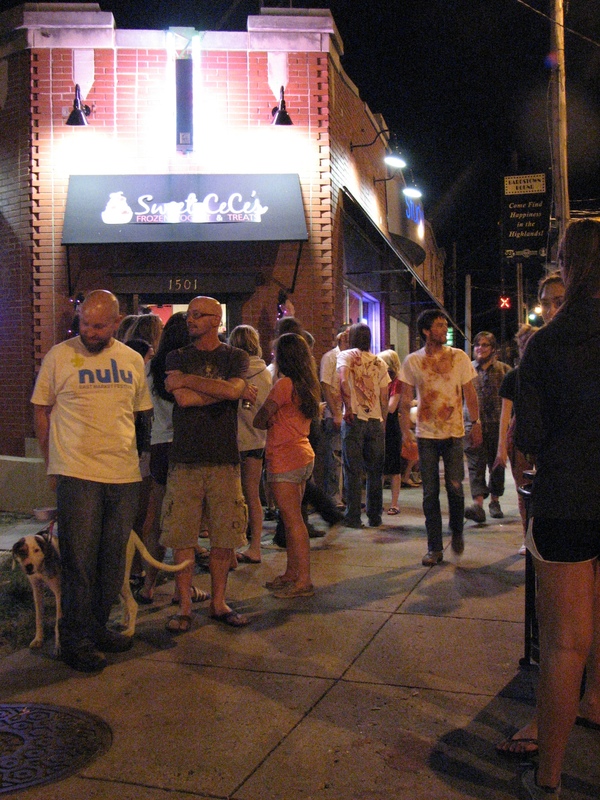 A nimbler member of the walking dead randomly ran up and shouted at members of the living, trying to raise a scream. 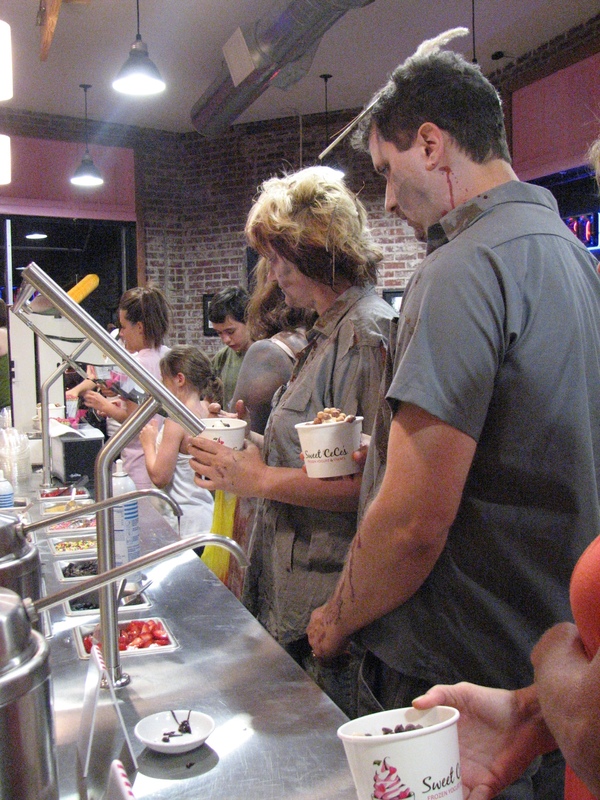 And one of these howls fell on an older woman holding a girl no older than 3, who was watching next to me. The child cried, turning away from the gnarled mass that was once Jack Sparrow during life, not knowing what to make of the scene. 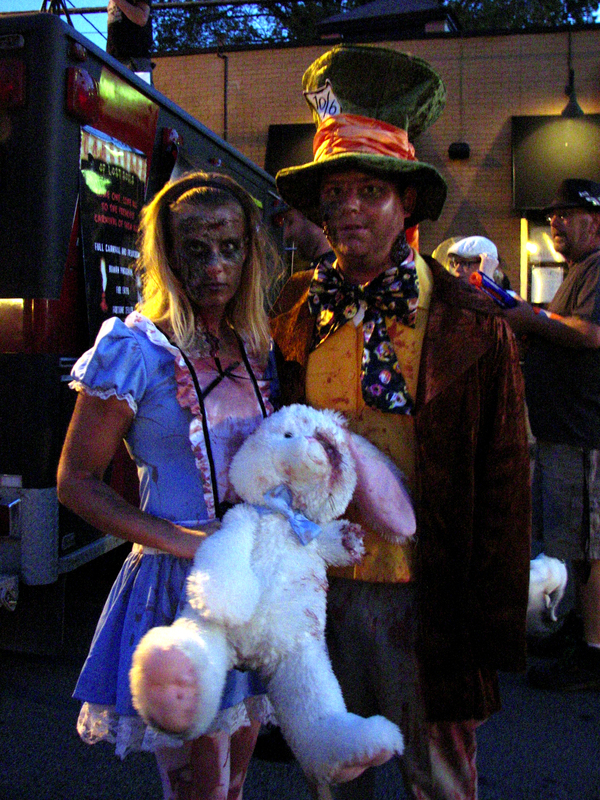 “Look for mommy,” the older woman told the girl, pointing her back toward the parade. Lesson No. 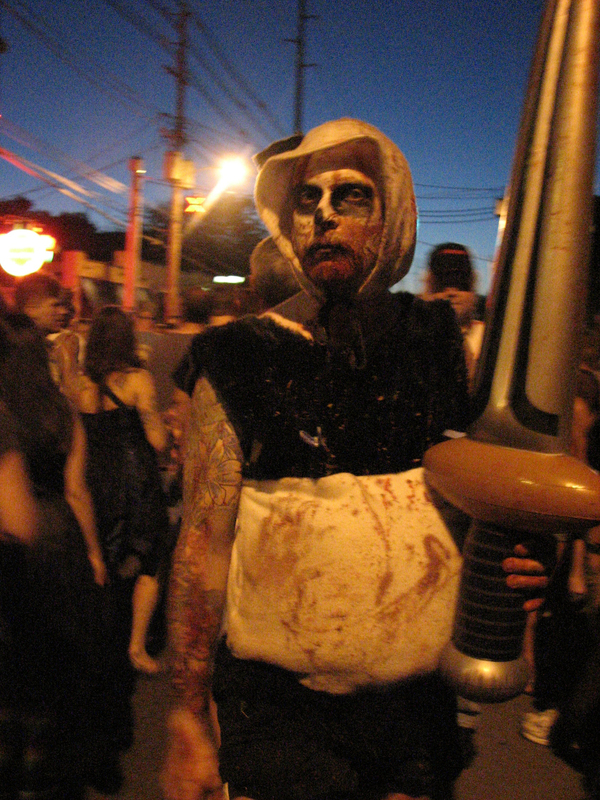 1: Mommy is a zombie. 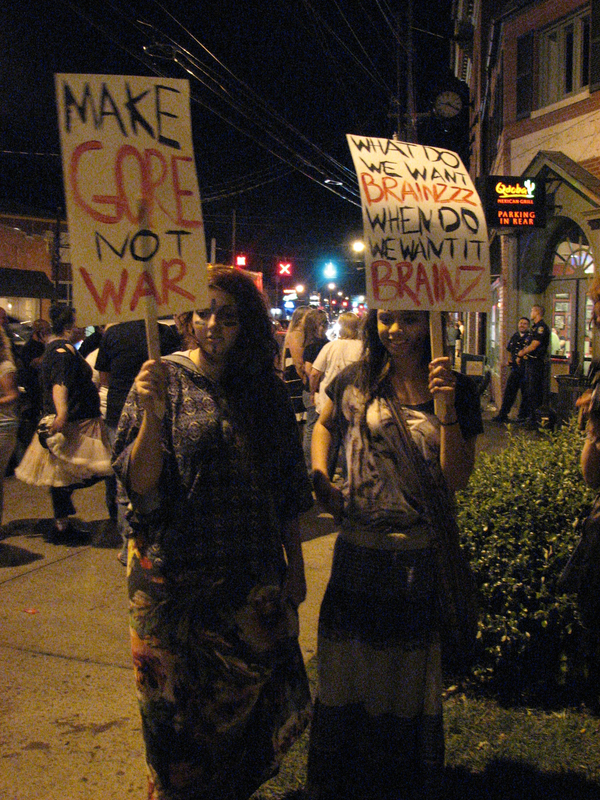 It was one of many things I learned from the zombies and their living fans that night. 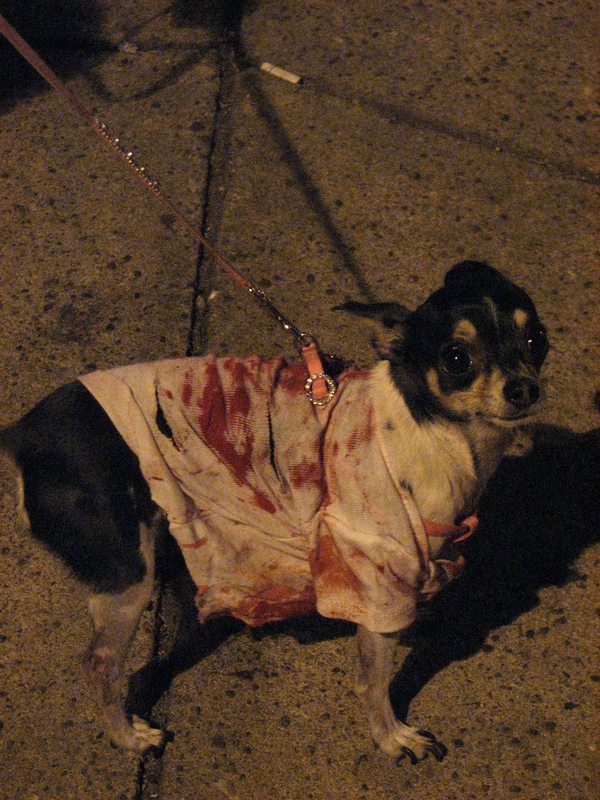 and the cutest little zombie of them all. Lesson No. 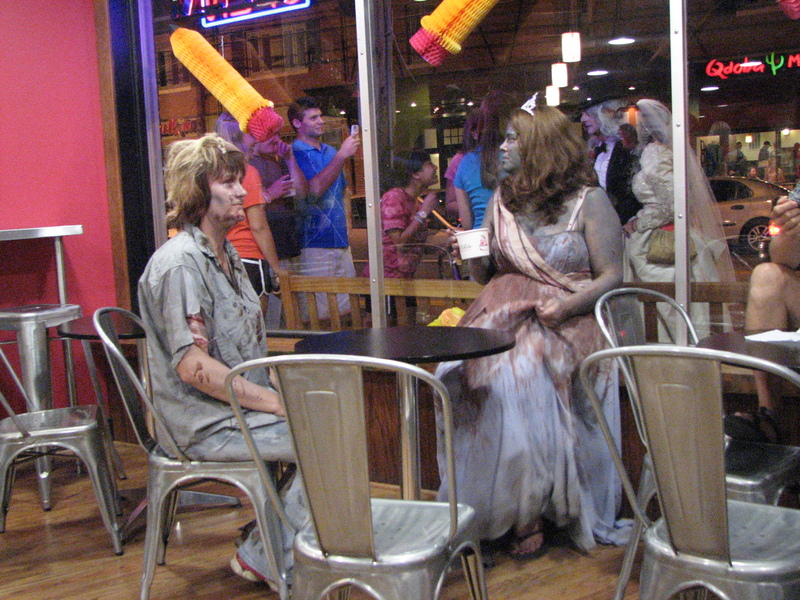 3: You can tell the difference between male zombies and female zombies by the way they groan. Lesson No. 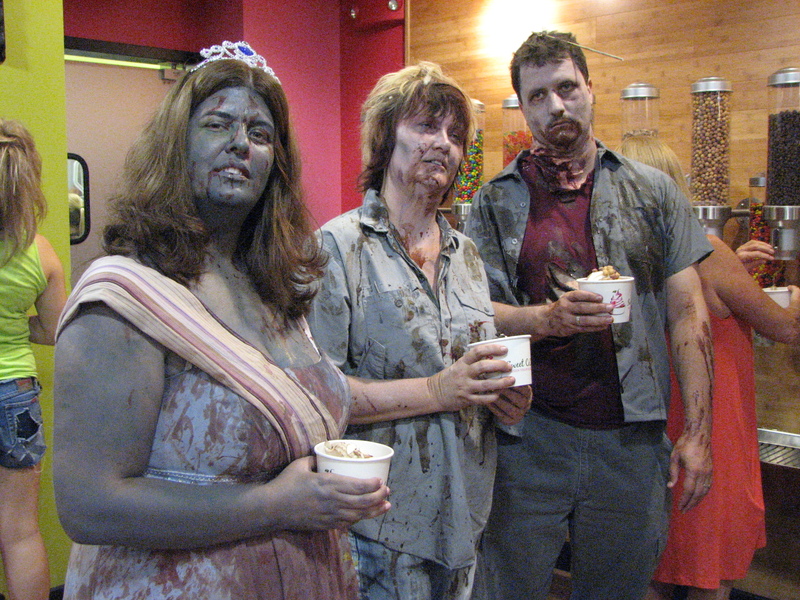 4: Nothing gets zombies going like fro-yo. Lesson No. 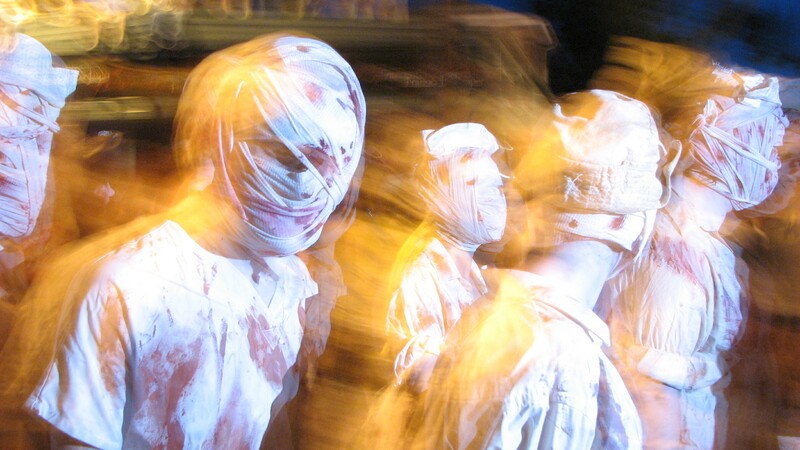 5: When stuck in a car, waiting on a parade of the undead to shuffle on so that you can drive home, don’t honk at them. It only aggravates them. And then they stumble up to your car’s front windows, moan as loud as they can over the music, take a swing at the brains and make for an all around awkward confrontation. Next time, turn your car right or left at the next intersection, turn again at your next stop and drive up one of the many parallel side streets. 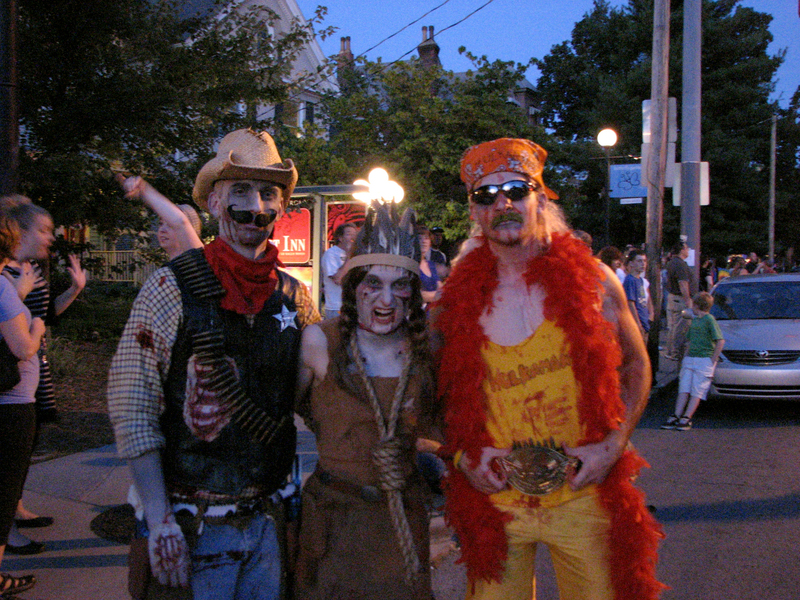 Zombies only roll down the main drag. Lesson No. 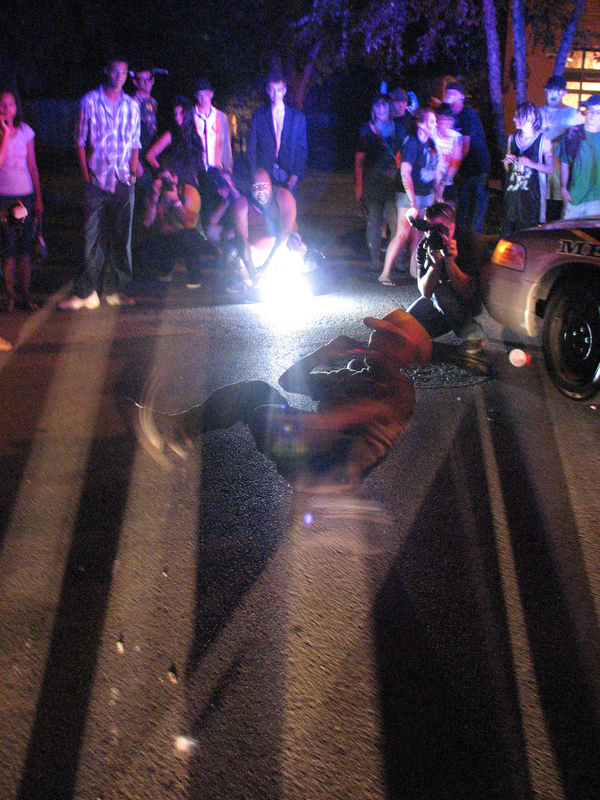 6: A zombie party isn’t complete without some break dancing by the light of the police cruiser.